One thing's for sure, nobody can accuse Toyota of playing it safe with vehicle design at the moment. Regardless of what you actually want to call it, the 2018 Toyota C-HR is a striking design that's hard to ignore, whether you see it as a subcompact crossover SUV, a tall hatch or anything else for that matter. But styling isn’t all that sets the C-HR apart from the crowd though, so let's look at this exciting new Toyota in more detail. 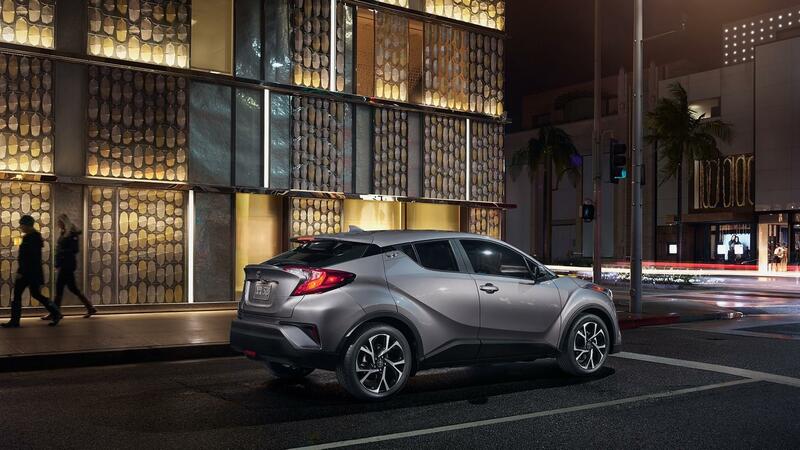 The C-HR is close to being out there on its own as far as its exterior styling is concerned. In fact, the only similar-looking vehicles are probably the NX and RX models from Toyota's luxury Lexus brand. The chances are you'll either love the way it looks or you won’t, so it's hard to think there will be too many people sitting on the fence with this one. It's about as modern and futuristic as the designers at Toyota could probably have got away with, and could quite easily have just driven off the set of a blockbuster science fiction movie. The aggressive, angular, but nonetheless interesting sheet metal emphasises the "Coupe, High-Riding" translation of the Toyota's model name, and the rising window line, high stance, and all those sharp edges come together very well. There's just a single engine for the 2018 C-HR here in America right now, which is a 2.0-liter four-cylinder producing 144 horsepower and 139 lb.-ft. of torque. The power is sent exclusively to the front wheels using a CVT transmission, which is where the SUV credentials of the C-HR could come into question for some consumers. There's no all-wheel drive option whatsoever then, which is why the Toyota could be seen more as a tall hatch than a genuine subcompact SUV crossover. However, as the majority of crossovers rarely need the capability of all-wheel drive anyway, Toyota could actually be seen as adapting to the market by delivering a vehicle more suited to where and how it's likely to be driven and used. Trim levels couldn’t be much simpler for the C-HR as there are just the XLE and XLE Premium trims, so there's no such thing as a basic or entry level C-HR really. Both versions come standard with the likes of: power features; 18-inch alloys; dual-zone climate control; a 7.0-inch touchscreen audio system; steering-wheel controls; and a rearview camera. If you do opt for the XLE Premium, it then adds features such as blind-spot monitoring, a power driver's seat with even more adjustment, heated front seats, a keyless ignition, fog lights, and turn signals in the door mirrors. 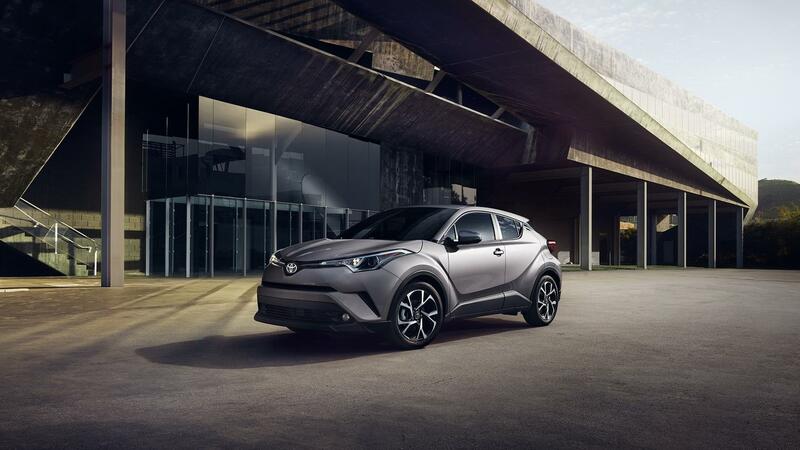 You can find the 2018 Toyota C-HR for sale in Ontario right now by visiting us here at Hometown Toyota Scion, so don’t hesitate to get in touch for more information and to arrange a test drive in this incredibly stylish and exciting new crossover.